The process of acquiring a used car should be anticipated with eagerness and joy, and not a sinking feeling in the pit of your stomach. The decision to buy a previously owned auto is also hard to make – the thought is always: “What problem of someone else did I just buy? Carson Cars has been an independent auto dealership since 1968. Present owner Mike Carson is the second generation of Carsons to own and operate this family business. He is a proud member of the community and his feelings are that every car sold directly reflects upon himself as a community member first and a businessman second. Every car that Mike Carson sells comes with a guarantee. Cars earn a place on the lot and the guarantee by passing a 111 point inspection. Cars that do not meet the rigorous requirements of this inspection conducted by an ASE certified mechanic are sold at auction. Not only does Carson Cars have a large inventory of previously driven cars, this award winning independent car dealership has the means to provide the highest quality service too. 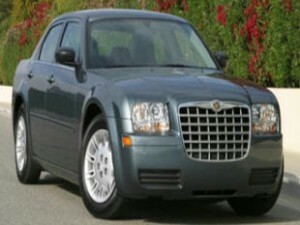 Carson Cars offers Guaranteed Auto Financing on their vast selection of car and truck inventory. For those with credit challenges we have a long established relationship with more than 100 lenders. We will get you financed and the car you’ve dreamed about! Call today; 425-697-6969 or at their toll free number 1-888-47-DRIVE!